If you’re a frequent visitor of my blog, be it for my sales thread, the cool guy lists, or for some reason you want to visit the extremely out of date toy release schedule, you may have notice a huge overhaul. 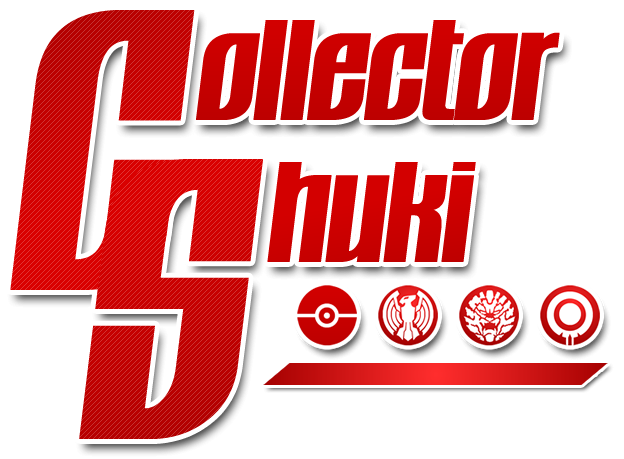 Officially changed to CollectorShuki.com (though ShukuenShinobi.com will still link back here) and went with an extremely minimalistic design scheme. Geek Each Week, my newer podcast with Long’s Toys is now on the link bar. Give that a listen if you haven’t! Of course, while the new hotness is over at RRR: The Streets on Will’s channel, you can still check out all of our old original recipe RRR episodes at that link. Once I start up reviews again, I’ll probably be posting them here too, but without any additional photo galleries or anything like that, unless I feel the item really warrants it. I haven’t really figured it out yet. “Then what’s the point of this page?” you may ask. Well that’s a damn good question. For starters, it’s always wise to have a website to associate with you or your brand. That’s just common sense. But if you follow my vlogs or Twitter or anything like that, you know I enjoy writing. Sometimes a little more professionally, sometimes a little bit more freeform like this post here. Writing has always been my passion, well before I ever got into doing video reviews NINE YEARS AGO at this point. Unfortunately, you can’t really make money by writing without working for an actual company, so video is where I found myself. That being said, I don’t make money from videos much anymore, so why not do what I love? Well, that’s what I plan on doing, to an extent anyway. I want to write more. Expect to see more freeform rambling on here! It might be a random thought in my head that I want to talk about. It might be a review of a Toku that just ended, a game I just played, or a movie I just saw. It might just be a quick update. Not everyone follows my Twitter to know my thoughts or see my updates, so I figure this blog is a great way to have you guys follow a long. It’ll be fun! TLDR: I wanna write, and that’s what I’m going to do. Next postWhat do you do when your passion isn’t viable?